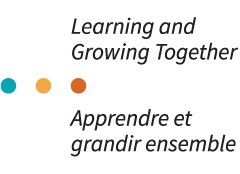 A strategic partnership is an agreement between the Joint Learning Program (JLP), a department or agency, and a component or a local of the Public Service Alliance of Canada or another bargaining agent to deliver a specified number of workshops during a particular period of time. This agreement is in writing in the form of a Memorandum of Understanding (MOU) which spells out the responsibilities of each partner. What factors should be considered when deciding to enter into a strategic partnership as opposed to requesting individual workshops? One of the main considerations would be the scope of the participant’s objectives and the ability of the JLP to meet those objectives. For example, the JLP may not have the resources to deliver workshops to all of the employees of a department in a given region but could agree to orient potential facilitators within the department and provide the materials so that the department in partnership with the Union, could administer the delivery of these workshops. What are the overarching principles that must be respected? The uniqueness of the JLP to forge partnerships between the Union and the Employer through the joint organization and delivery of the workshops and joint workshop participation of managers and employees must be respected. The integrity of the JLP objectives, workshop curriculum including the content, timeframes and experiential learning methodology must be maintained. The partnership with one organization cannot impact the accessibility to the JLP for other departments. What steps should be followed to put a strategic partnership in place? Initial discussions should be held between JLP representatives and Union and departmental representatives to explore the appropriateness and feasibility of creating a strategic partnership. If the scope of the partnership is national, the JLP Co-Directors would usually participate in these discussions and the JLP Regional Field Coordinators would represent the JLP in discussions concerning regional partnerships. What are the overall objectives of the partnership and which workshop(s) are being considered? How many employees will be covered by the MOU? How many workshops will be required to meet the objectives, given that the target number of participants is 20 per workshop? What is the geographic distribution of the employees covered by the agreement broken down by province and workplace location? What resources, both financial and human, is the department willing to provide? Will the department organize and schedule the workshops? How many facilitators will be required to meet the objectives? Is the department willing to free facilitators on a full time basis to deliver workshops? Will there be Union or departmental material distributed during the workshop? How will the success of the workshops be measured and will the parties be using the JLP evaluation tools? Will the parties rely on the existing pool of facilitators or will there be a requirement to train additional facilitators? If departmental facilitators are trained by the JLP will they, subject to operational requirements, be made available to deliver workshops in other departments? Will there be a joint governance structure to co-ordinate, monitor and assess the implementation of the MOU and what will this look like? What expenses/services will the JLP be able to bring to the agreement (e.g. workshop materials, training of new facilitators, contribution towards hospitality). Based on the above, and having secured internal approvals to proceed, the department in partnership with their Union representatives and the JLP as needed would take the lead on drafting the MOU. Through ongoing discussion and feedback the MOU content would be agreed to and the department would finalize the draft MOU with the JLP. In order for the JLP to plan and manage its resources it is important to note that all MOU’s including regional MOU’s need to be vetted by the national office. Once all parties are in agreement with the content the MOU is signed and dated. Copies of the MOU would be retained by all parties. The MOU would be implemented with the agreed upon follow-up. Who should sign the MOU? Union – a national representative of the bargaining agent. Department – senior national departmental representative. JLP - While the discussions on the content of an MOU are normally discussed regionally between JLP Regional Field Coordinators and regional Union and departmental representatives, all MOU’s must be vetted and signed by the two JLP Co-Directors. Union - a regional representative of the bargaining agent. Department – departments would decide who the person with the authority would be but it is normally at the Regional level.